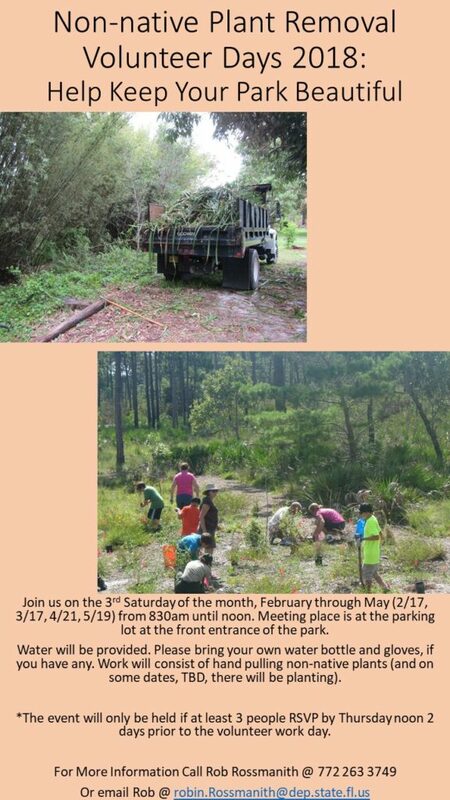 Join us on the 3rd Saturday of the month in February, March, April and May to help remove non-native plants which don’t belong in the park’s ecosystem. On some of these days, native species will be planted. Water will be provided although you are advised to bring your own water bottle. Also, bring your gloves! Each session will be from 8:30 am until noon. Meeting place is at the parking lot at the front entrance of the park.